Iran says Germany’s ambassador to Tehran has been summoned to the foreign ministry over a German court’s verdict on extradition of an Iranian diplomat to Belgium. 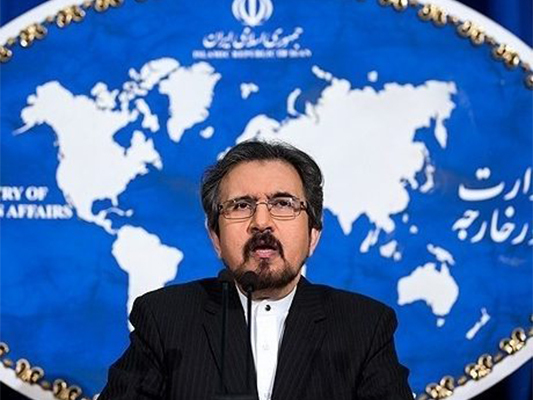 In a Wednesday statement, Foreign Ministry Spokesman Bahram Qassemi said German ambassador to Tehran Michael Klor-Berchtold was summoned on Wednesday in protest at the court’s ruling to arrest and extradite the diplomat to Brussels. “In a meeting with the German ambassador, an assistant to Iranian foreign minister and the director general for Europe at the foreign ministry expressed the Islamic Republic’s protest over the arrest and extradition of the Iranian diplomat to Belgium and said the move had its roots in a plot hatched by the enemies of Iran-Europe ties,” Qassemi noted. There is no doubt that the anti-Iran France-based terrorist group Mujahedin-e Khalq Organization (MKO) has played the key role in the plot, he said, describing the plot as a manoeuvre carried out by the MKO and the Zionist regime to compensate for their failures. The spokesman also underlined that the plot was part of a larger plan to sour the current ties between Iran and Europe. “We maintain that Germany’s behaviour towards the Iranian diplomat stands against all accepted diplomatic rights in the world and the Islamic Republic of Iran calls for an immediate repatriation of its diplomat. It goes without saying that the plot needs to be assessed accurately and in depth,” he added. According to Qassemi, the director general for Europe at the foreign ministry also underlined that the Islamic Republic preserves the right to protect its rights under international law through proper political and legal channels and in line with its policies to cope with various forms of terrorism. He also vowed that Iran will make a proper decision regarding the European country’s decision in due time. Germany extradited Iranian diplomat Assadollah Assadi to Belgium after he was accused of plotting a bomb attack in France. Belgium says the Iranian diplomat had been arrested along with a 38-year-old man and a 33-year-old woman, suspected of plotting a bomb attack on the MKO annual gathering in Paris.